Keeping the documents in the right order, correctly labeled and well-organized is a good manner of document management. What to do if your scanned PDF files contain many blank pages and have no required stamps like file name on top of each page? 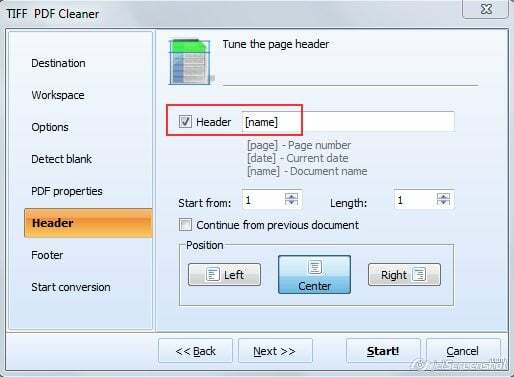 It's not a solution to delete empty pages in some PDF editor manually and draw file name on each page. 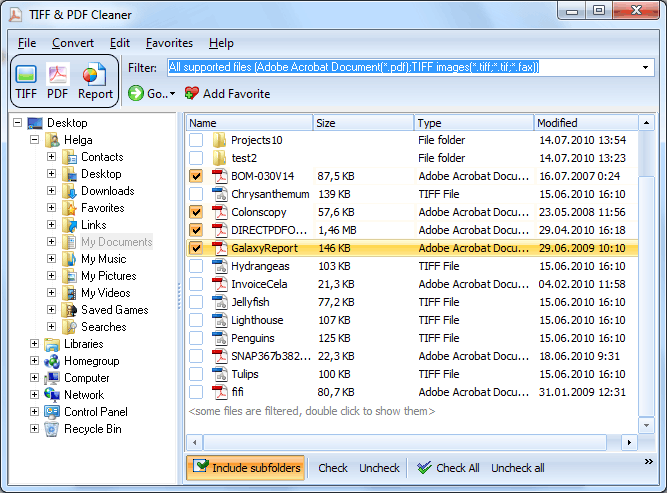 There is an all-in-one program that does this automatically - TIFF PDF Cleaner. This tool works with any number of documents in one batch. It does a lot of work very quickly! You can move them to a separate TIFF file. Saving empty pages into a document is useful for inexperienced users. 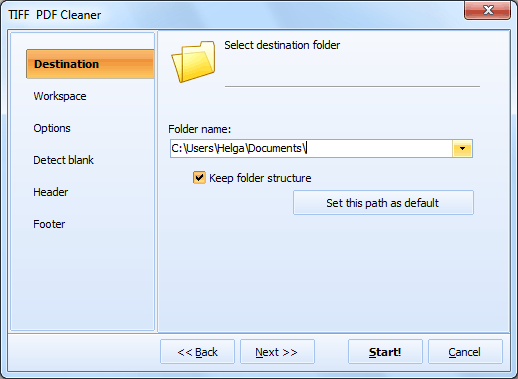 TIFF PDF Cleaner has adjustable detection tolerance. It is used for processing scanned documents with different quality and content. If you are not sure which sensitivity to choose, you can make a couple of experiments to choose the best value. You can also set the position for the file name (center, left, right). All options are very flexible, serving for the best results. 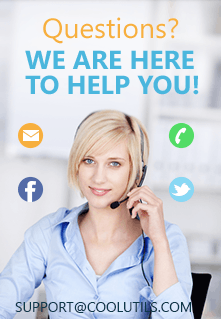 Download TIFF PDF Cleaner in trial version to test it. How to remove blank pages from PDFs and save them separately? How to add file name to the header of each TIFF page? 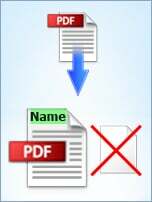 How to split PDF files by blank pages with deleting blank ones?